John Manson 1841-1931; seated is Helen Flett 1840-1929 who was sister of John's wife May Flett 1850-1912; Margaret Manson Barclay/Manson (dau) 1877-1949; Robert S. Barclay 1901-1973, Margaret's 1st son w/ Charles Barclay. 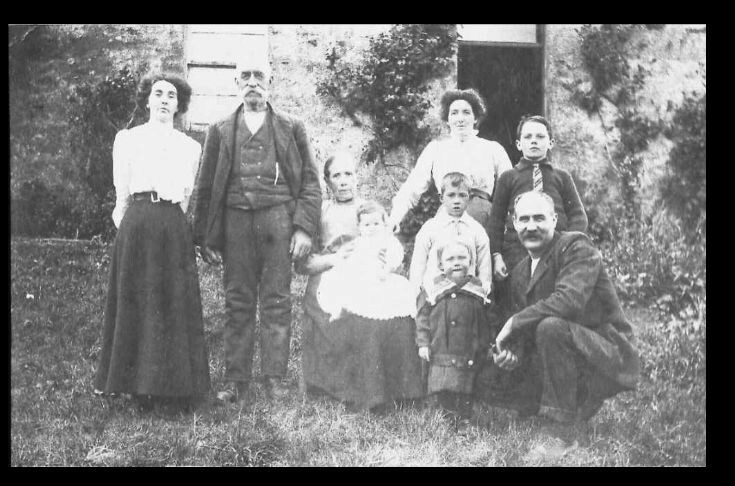 I don't know the names of the 3 small children, but they are the kids of Margaret and (kneeling) John Thomas Manson (unrelated) whom Margaret married in 1909. This was taken at Firthside Cottage, Firth, Orkney.